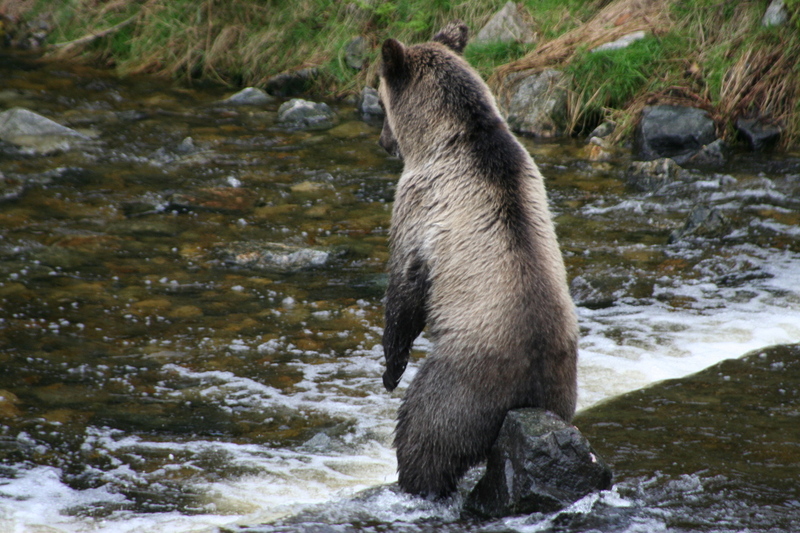 This photo of a grizzly bear must be before all the fish appear in Knight Inlet’s Glendale River, as I do not see many fish in the water. Maybe why we have a “standing lean”, at least a better chance of seeing fish when they come. Our grizzly bear tours after August 25 leave the estuary and take place up the river where there is better chance of viewing bears as that is where the salmon are going to spawn. 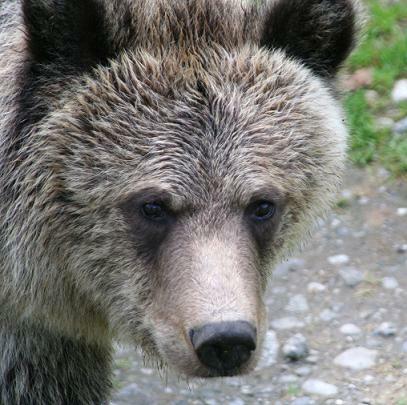 A close up photograph on a grizzly bear is interesting but it does not show the true majesty of the bear. If you need a comparison check the photos in “Grizzlies June July August” and “Grizzlies September October” at the top of the page. Enjoyed our short stay in Paradise. I hope to be back, great food, great company. Thanks Angus, George and All!